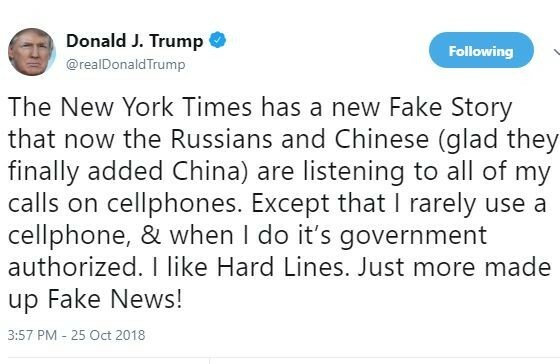 Today, New York Times reported that President Donald Trump’s cellphone conversations are being intercepted by Russia and China to gather information on his associates and policy positions. 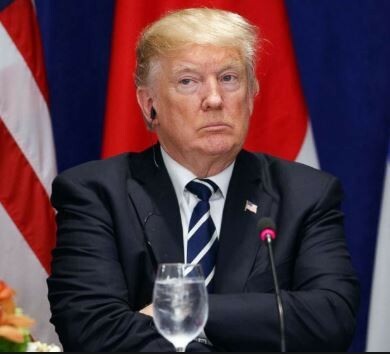 According to the report, the discovery was made by White House officials who were alerted by individuals working within these foreign governments. However, the names of the White House officials and individuals working within these foreign governments have remained anonymous for security reasons. 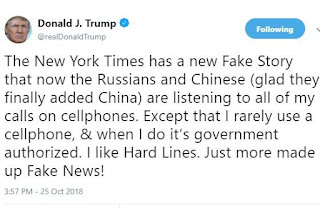 In his reaction, Trump described it as another 'Fake News' tweeting, 'the New York Times has a new Fake Story that now the Russians and Chinese (glad they finally added China) are listening to all of my calls on cellphones. Except that I rarely use a cellphone and when I do it’s government authorized. I like Hard Lines. Just more made up Fake News! '.